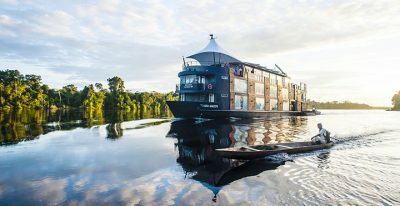 The Amazon River, the second-longest river in the world and the largest by far in volume, stretches across several South American countries and offers an incredible array of animal and plant life. 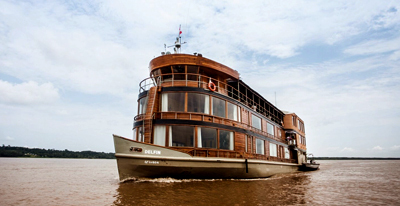 Riverboat cruises allow you to experience this breathtaking region in the company of top quality naturalist guides. 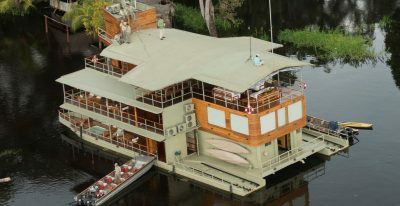 Daily excursions by land and by skiff take you deeper into the jungle. 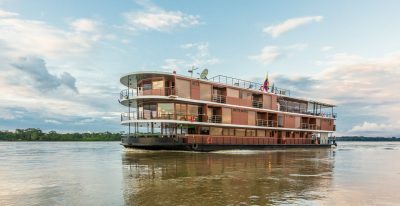 Browse some of our Amazon Riverboat Cruise itineraries below and then give us a call to discuss your cruise interests with one of our specialists. There are a variety of cruise lengths and start dates, and we can combine your cruise with any of our land services. 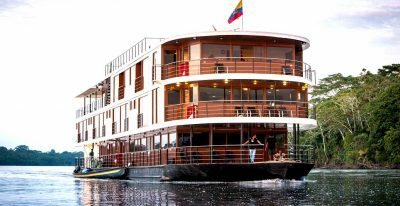 Luxury riverboats may offer larger cabin sizes, or amenities such as a Jacuzzi or private balconies, and generally offer the very highest quality naturalist guides. 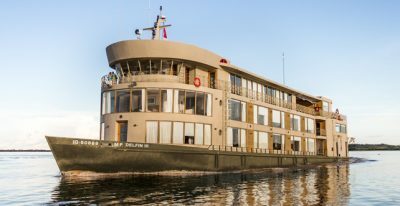 First class riverboats are comfortable ships but don't offer as many amenities of the luxury riverboats. 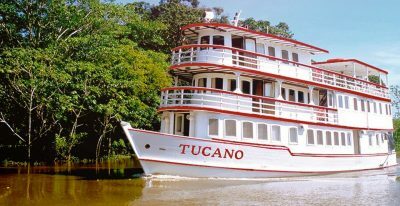 First class boats are a great option for travelers who want a less expensive cruise that still has a top quality naturalist guide. Everything was taken care of for us, which made it very enjoyable and carefree. Go, Vaya! I am pretty good on the internet, but I don’t think I would have found the hotels which were perfect for us, or connected to the guides you lined up along the way. It was 100% A+. Looking forward to our next trip with you. Every guide we had was excellent. They far exceeded our expectations and gave us outstanding value. They were funny, knowledgeable and flexible.